Every day you sell yourself to succeed. You can be more effective and reach a new level of success with a right mindset and by stepping out of your comfort zone. We are all in sales whatever you do. If you are making money either by selling a product or service, then you end up with building a relationship. People always want to do business with those they know, like and trust. The right way to get to know you is by being real and authentic to be successful in building those relationships. All that we do in business involves selling; whether it’s selling an idea, selling a product, or selling a service. Everything comes down to what we offer, whether we understand it or not. However, our growth and self development rely upon our business aptitudes and mindset. If you are in your comfort zone, that will definitely kill your productivity. The first thing that we have to do is to become aware that self awareness and self development is the key for any sales success. There are times when you get that feeling you’re uncomfortable; you’re scared and when you start to realize ‘okay, I’m feeling uncomfortable’, a lot of times that means you need to lean in. It means this is an opportunity and you have to do it with the right mindset. It doesn’t matter if you win or lose. If you fail, and you probably will, you will become a better version of yourself. As a small business owner or business visionary you have to attempt new things to establish your brand. 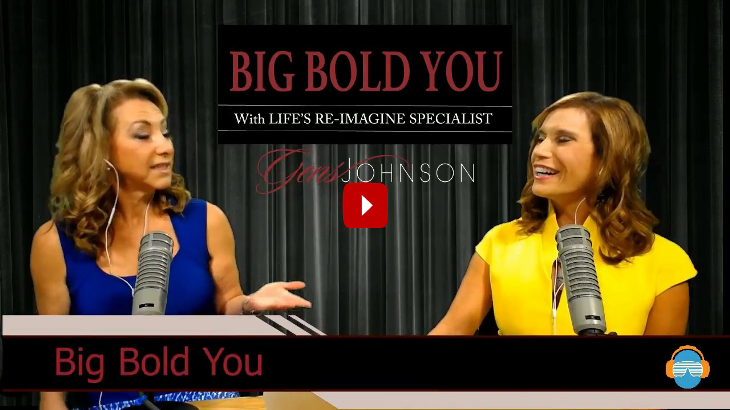 In the interview below, Gens Johnson, a mindset leader and mindset success coach, discusses ‘Sell Yourself for Success’ with Alla Bardov. Gens and Alla inspire and motivate you on how to step out of your comfort zone. Life begins at the end of your comfort zone. Those things outside your comfort zone are the things which you’re not yet acquainted with, and the things which frighten you; things which you need to abstain from doing on the grounds that you fear doing them. Not making a move and remaining in your comfort zone is perilous. You may think you are secure in that safe place, however you are definitely not! While you are sitting around idly endeavoring to get secure, you are passing up getting what your business truly needs and what you truly need. Take risk and take action today! Listen to the complete episode on the topic Sell Yourself for Success and subscribe to Gens Johnson YouTube channel for upcoming shows. For more Business Development Training, join an existing Live Mastermind Group for six months and get instant support, guidance and access to Gens.